Whether or not, as a white woman living in middle America, I am as qualified as others to address the role race plays in the 2012 presidential election, as a writer who wants to participate in the national conversation around this year’s White House bid, I feel compelled to share my recent, racially implicated electoral experience. Perhaps being a white woman who supports our country’s first African-American president in and of itself qualifies me to comment. 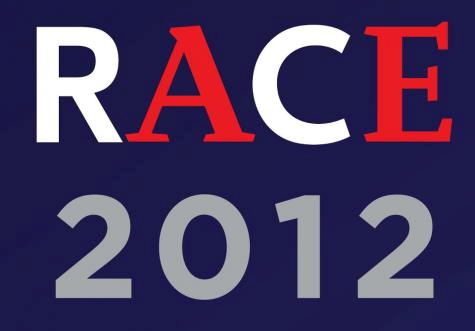 But, as a blogger representing the upcoming PBS documentary Race 2012, I share so I can encourage you to do the same. I hope you will watch this election season special on October 16th (check local listings) and, regardless of your party affiliation, join the conversation, sharing your own observations and insights in the comments below. I lived in Haiti during its most recent presidential election, the first since an earthquake leveled most of Port-au-Prince, killing hundreds of thousands. It’s as if the city collapsed in on itself, a pancaking of poverty itself. That experience changed forever the way I think about the electoral process and much I assumed about fairness and equality growing up in a place like the US. I assumed elections were fair. I assumed everyone had equal access to the voting booth. I assumed all Americans had the same opportunities to get ahead—to be educated—to feed their children—to live in a home that was safe and affordable. I was wrong about each of these. I was naïve. None of these are guaranteed anywhere in the world—not even in the land of the free and the home of the brave. Indeed, Haiti changed all of that for me. You see, Haiti has, for more than a century, been the poorest country in the Western hemisphere. But on January 12, 2010, an earthquake leveled Port-au-Prince, killing at least a quarter million, injuring several hundred thousand more, and leaving more than a million and a half homeless. 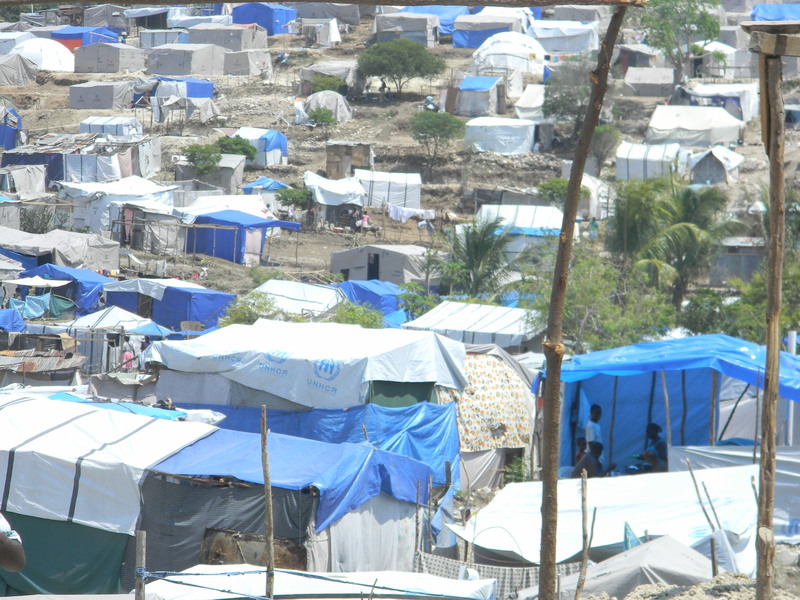 However, a year after the earthquake, when it came time for Haitians to elect their next president, a million were living in tents, and the nation was in the throes of cholera epidemic. It’s no wonder that many there felt excluded from the political process. 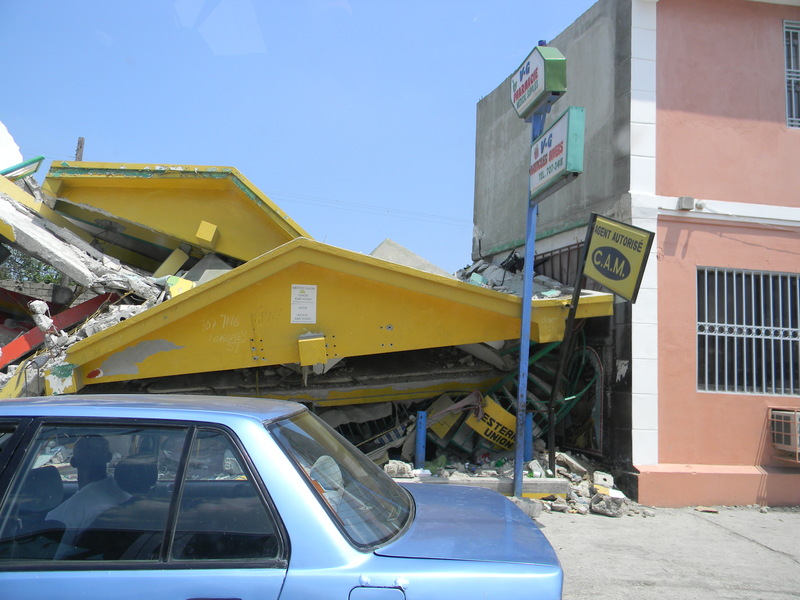 The earthquake destroyed voter registration records denying some the right to vote when the first round of elections rolled around, and supporters of Jude Celestine, the candidate that then president Preval had hand-picked to succeed him, were accused of stuffing ballot boxes on November 28, 2010. Because of this, and the exclusion of Aristide’s Lavalas party from participating in the election, Port-au-Prince erupted in chaos as the disenfranchised took to the streets and forced the country’s only international airport to close. Even in the usually quiet Port-au-Prince suburb of Petion-ville where I lived, roads were barricaded with burning tires. Hundreds of protesters rioted past our house, as UN helicopters circled over-head. Gun-shots and explosions rang out across the city— wrenching me from peaceful sleep. It was literally a rude awakening. In Haiti there is a massive divide between rich and poor. But there are also racial factors influencing both this economic reality and the political process. The elite, who control 95% of the nation’s wealth, are generally mulatto or of mixed European-African decent, while the poor and destitute, who have next to nothing, are usually darker skinned. Few dispute the fact that the privileged minority in Haiti, those who believe themselves superior at least in part because of their lighter skin, manipulate elections to benefit themselves—keeping the vast majority of Haitians in dire poverty and advancing their own economic interests. So speaking only from my personal experience—as someone who witnessed first-hand what happened recently in Haiti— and who, as a result, approaches this year’s US election with a newly deepened cynicism, I don’t claim there are exact parallels between the presidential race in Haiti and the one here in the US. I don’t even claim the racial issues are the same. However, having observed what I did in Haiti, I listen with suspicion when I hear Mitt Romney dismissing 47% of the American population as takers and claiming he might have a better chance of being elected were he of Mexican descent. I’m equally suspicious of voter registration laws that make it more difficult for the poor, many of whom are elderly or members of ethnic minorities, work harder to cast their vote than middle class Americans, who have the means to own a car and thus the driver’s license needed to participate freely and fully in the political process. I don’t know the answers. I am only now realizing, in a new way, the degree to which these disparities still divide our country. Since living in Haiti, I’m more fully aware that the playing field in our country is far from level—that we approach a slippery slope if we elect a candidate who believes he’d be more easily elected were he a member of any ethnic minority. I believe it’s important that we, as privileged members of this country’s majority, re-examine our assumptions—that we cast a critical eye on any belief we cling to out of blindness or naiveté. Not all white Americans are any more ignorant than all ethnic minorities are poor. But that doesn’t mean we shouldn’t take a second look. In Port-au-Prince the expression images topographically the never-ending struggle of the Haitian people, outlining a belief shared by many, that conquering one challenge only brings the next one into focus—a belief mapped in the furrowed brows of many who fight the good fight one day, only to see the sun rise the following morning on the summit of the next. Whether we want to admit it or not, the poor, the racially marginalized in the US, face challenges whose origins are reminiscent of Haiti’s—challenges rooted in a heritage of slavery and oppression. In Haiti they play out in more exaggerated forms than they do here at home, but that exaggeration makes it easier to see what might be more casually overlooked in the US. Haiti offers an important lesson—one we in the US, especially those of us who are white and privileged, might be wise to heed, especially on November 6th. 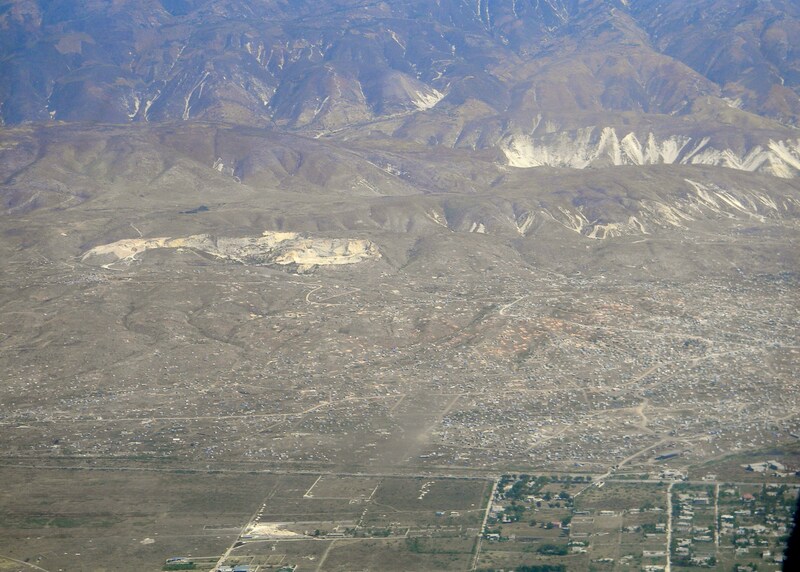 As the mountains that circle Port-au-Prince brighten on election-day in the US, those of us who drive to the polls in leather-seated luxury, might do well to remember our privilege and as we cast our votes in “mcMansioned” suburbs, ask ourselves how our ballots might impact those facing mountains upon mountains here at home. And when the polls close on the evening of November 6th, I hope the hills from Appalachia to the Rockies will be alive with the sounds of opportunity for all Americans, regardless of race, regardless of national origin or party affiliation. Racial minorities in America have surmounted huge obstacles to injustice in the past half century, but as they say in Haiti—”Byen prè pa rive.” Very close is not there yet. What racial challenges do you believe the US has yet to conquer? Whether or not you are a member of an ethnic minority in the US, how does the outcome of this election impact your personal “mountains upon mountains?” If you do not live in the US, what are the relationships between race and politics in your country? And don’t forget to tune in on October 16th to watch the PBS documentary “Race 2012: A Conversation about Race and Politics in America” (check local listings). I hope you will like Race 2012 on Facebook, visit the documentary’s website, and encourage others to join you in supporting this conversation about race and politics in the US. Please follow on Twitter and tweet an announcement about this important election season special. Thanks to my friend Monica Medina of “Monica’s Tangled Web” for organizing this blogging campaign and asking me to contribute this piece. This entry was posted in Haiti, Haitian presidential election and tagged Haiti, haiti earhtquake, Haitian Proverbs, Mitt Romney, PBS, politics, Port-au-Prince, poverty, presidential election, race, Race 2012, race in america, racism. Bookmark the permalink. Race is always a topic of interest to me, especially with respect to our lack of compassion where it is concerned and the attention that being outwardly ignorant with regards to race sometimes does NOT get. So much about it baffles me. Most recently, the Scott Brown and Elizabeth Warren senate race has my attention. It blows my mind that even today, in this country that is far more open minded today than it was back in 1492 and 1864, we still have this bias about race. I was completely pissed when I heard Scott Brown explain that Elizabeth Warren was “obviously” not Cherokee because “just look at her.” Really? Then I read this in your blog: “the privileged minority in Haiti, those who believe themselves superior at least in part because of their lighter skin” and almost fell out of my chair! (My naivete, made obvious to me by your writing, lays in the notion that race inequality was something those who “weren’t” held against those who “were.”) Why do we, as people, as human beings, do this to ourselves? The notion that race encompasses only skin color or that one skin color is preferable to another sickens me. The countless number of people who have died because of their race (my own Cherokee ancestors included) truly makes me ill. All that death, all that hate, and for what? We, by many accounts, are no further ahead today than we were in 1492. What a sad statement that is. ………and I am most decidedly OFF my soap box now. Sorry. I love you on your soapbox, Sista!! You express this so well and with such passion. And, yes, the “just-look-at-her” comment is so, so IGNORANT. If only Brown were aware enough to know how idiotic he sounds! At any rate I love your passion. I love your insight. I love you! Hugs to you! I don’t know much about American politics, but Romney sounds like a fool in anyone’s language. I don’t believe race is an issue in politics in Australia….we are such a mixture of races….I would like to think that anyone would have a chance of being voted into office. Really interesting to hear how Romney sounds to those outside the US. Thanks for sharing this, Deb! Great to hear from you today! 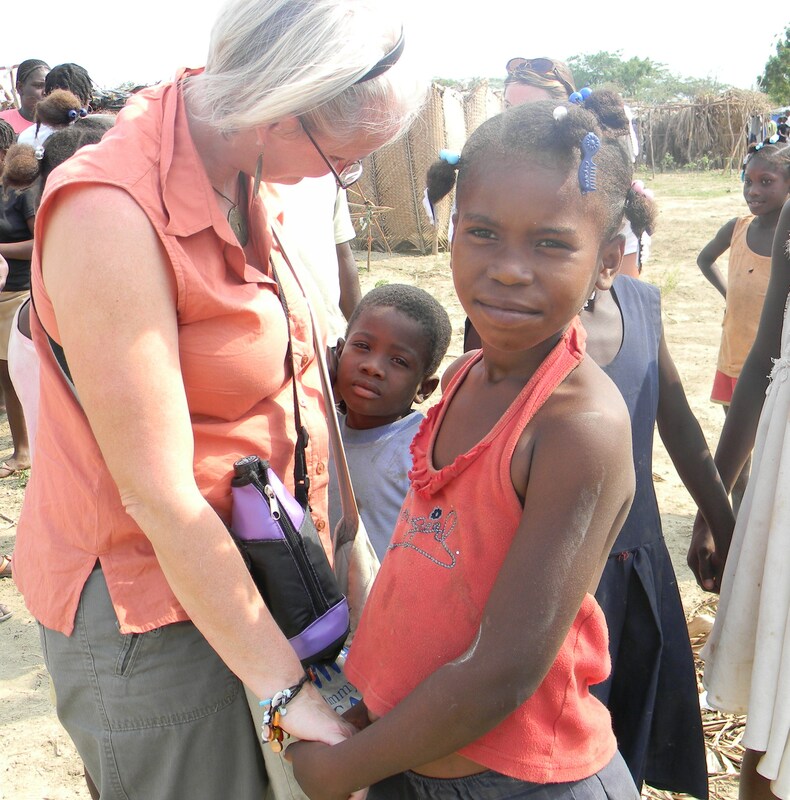 Blessings to you for going to help in Haiti … and it obviously had a profound influence on your life! Thanks, Frank. Wish we were still in Haiti. If a job came along, I’m sure we would go back. You’re right. 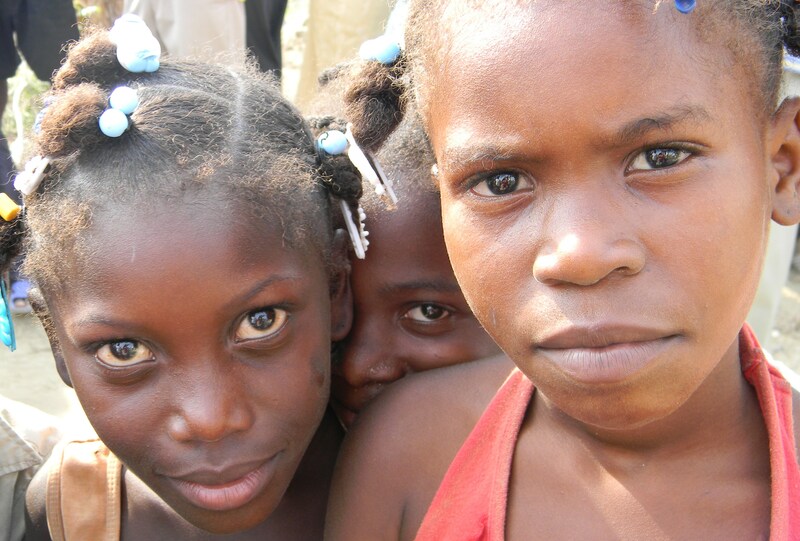 Haiti had a profound impact on me! Thanks for a powerful post. I plan to repost this to my blog. I think it is something we all should think about. As a person who was born an raised in the deep south during the Civil Rights Movement, I have had to confront my own issues with regard to race throughout the years. When I moved north, I was surprised to learn that racism in this country is not just a “southern” problem. In this country racism is everywher, and its subtleties are ubiquitous, and folks get angry when it is pointed out or highlighted. I have said many times that it is easier to believe a lie than it is to search out the truth, especially within ourselves. I’m taking the liberty of including a link to a piece that I wrote a few years back. (Feel free to delete it if you don’t want to post links in the comments section.) I am convinced that racism is at the root of much of the political divide that we experience today. And all the denial in the world won’t make it go away. Thanks again for a powerful post. Thanks so much for sharing the link, Cecelia. Can’t wait to take a look. I appreciate anything that furthers this conversation. It’ wonderful to hear from you! Hope school is going well! And almost forgot—-thanks for the reblog! A post everyone should read . . . and talk about! I do think, especially as a member of the “privileged majority”, that sometimes it takes getting away from “home” to begin to see what we take for granted. Our leaders, even if they’ve come from poverty, are inevitably removed from “everyday life” by the time they are in office. It takes serious effort to remain connected. I too am concerned about the implications of electing someone who is willing to just “write off” the masses. Thank you for a great post. Great point, Lisa. Getting away is often what it takes to gain perspective. And when we moved away to Vietnam in 2009 I didn’t realize it would impact me in that way–would shift my thinking. THen the following year Haiti really, really changed me. Thanks for reading, my friend. As an African American female raised in the north, I am delighted and amazed at your insight and knowledge of the struggles of race relations in the world we live in, especially here in the United States, that are too often dismissed or swept under the rug. It is often reported how we have come so far but have we really? Yes, we have come a way but we also have a long way to go. If we make the wrong choice this election, we may all suffer for years to come. It is a shame race issues can blind us to the truth of the state of our economy and the life of the 47%. I will be voting and praying for positive results, but my focus will also be on waiting for God’s kingdom to come to earth as it is in heaven. Thank you for your WONDERFUL AND INSPIRING POST! I can’t tell you how delighted I am to hear from you. I’m glad you think I have some persective into these issues. I’m concerned what might happen if we get the wrong person in White House. We have changed in the US, but, as you say, not enough. Thanks so much for reading and taking the time to leave a comment. Hope you’ll come back sometime soon! Kathy, thank you for this realistic view of race and how it plays a role in politics. I have an essay I will share with you regarding race and eduction which I think piggybacks on your post in a very interesting way. A great post! Inspiring and eye opening! I’m glad this post spoke to you, Jackie. Would you mind coming by and leaving that link? I’d love to take a look. I’m thrilled this inspired you, my friend. Kathryn — What a brilliant piece!! You are so thoughtful, calm and perceptive — and you bring to light the great silent shame of this Exceptional America … that 44% of people living in poverty in the USA are CHILDREN, that 90% of African American children will be living on food stamps at some point in their lifetime… and that it is not an “accident” that men of color are about 10 times more likely to be incarcerated than white folk (read “The New Jim Crow” for some really shocking statistics on that). I thought the 47% comment by Romney was really dismissive — and indicative of a mind set that is all too pervasive in the “I built it” self-congratulatory Republican canon that neatly overlooks the inequity of opportunity that exists in this country. I will definitely watch RACE 2012 on October 16, and I really admire you for speaking out on this issue. Far too few voices have dared to challenge the racist undertones of so much of the vitriol in this election — and the Voter ID laws are perhaps the most blatant attempt to disenfrancise people of color (who are presumptive Democrats) that I have ever seen. It’s impossible to see that as anything other than stark prejudice… and p.s. 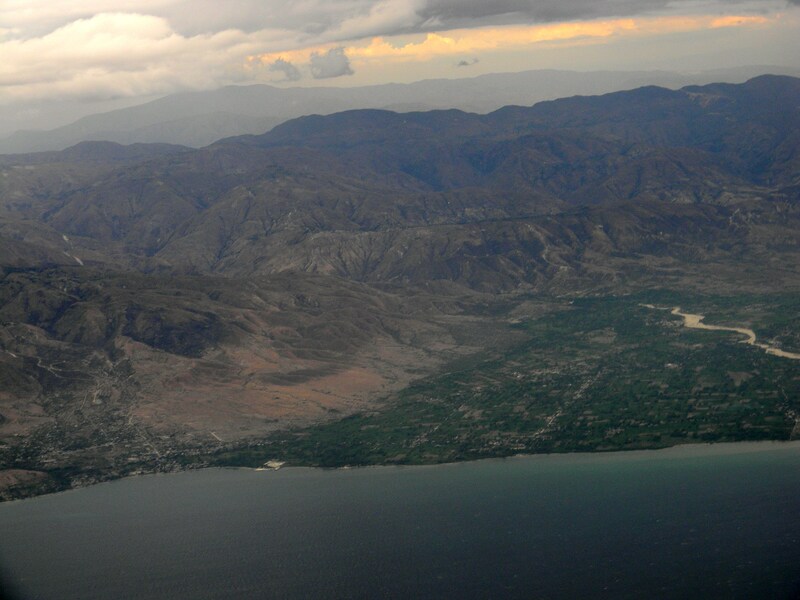 I loved the photos of Haiti and am so glad we share a deep love for that tragic country! I know, Betty. How great that we share a passion for Haiti. Thank you so much for the statistics you’ve left. They add a lot of substance to the discussion that’s happening here. I agree what you say about the voter registration laws. Did you see the special on CNN last night? Also, since you live on the east coast, be sure to check for broadcast times, as here it should air either before or after the presidential debate. Living in Montgomery Alabama has been a real education for me. Things I knew intellectually are brought into sharp emotional focus here. Not all of them are as bad as i would have expected. Some are far better. Some are far worse. It’s a good question, though, and one I don’t have time to give my full attention to, today. I hear you, Jessie. The questions really deserve more time and attention most of us have to make a comment. Interesting to hear that some things have been better, others worse than you expected. I’d love to know if it’s better or worse than Lexington. I know you might not have time to answer that, but I’m still curious, if you get the opportunity later this week. Wish you still lived here. Another thoughtful and poignant post…you present a number of important issues that most should consider…bravo! Thanks, Charlie, so happy to hear this worked for you! Great to hear from you. As usual a thoughtful and comment provoking post. I will say, in regards to the voting, I am pleased with the agency I work for. They have made a very strong effort to be of assistance to the community at large. We serve the “poor” and the “elderly”, and just about all of those who are at their lowest (financially or going through crisis). In serving the community they have also made it easy and a regular part of every day service to help people become registered voters. I know your post addresses more than this. But I always appreciated the campaigning politician who came to my door as a very young mom, and helped me get registered. It was a great feeling. And one I’m sure others have appreciated as well. I bet the organization you work for IS a good one, Colleen. I, at least, appreciate groups that reach out to the poor and needy, regardless of race. Hugs to you too, my dear! Happy Catfish and Mandala! Oh Kathy, this is a big project that you bring your very unique perspective to, and the project will only stand to benefit from this undoubtably. I cried tears of joy when Obama was elected, which I hoped signified the end to racial barriers suffered by too many people for far too long. The cast of characters in Canadian politics is primarily white males, and hopefully this will change sooner than later. Good luck with this endeavour my friend! I, too, cried when Obama was elected. I know nothing really about politics in Canada, but I sure hope Obama gets reelected here. I’m afraid of the consequences otherwise. Great to hear from you, Deanna! You simply can’t know how much the message in this post means to me Kathy. thank you, Thank You, and THANK YOU again from the very bottom of my heart. Oh, thank you, Laurie. I can’t tell you how happy I am that this spoke to you! I was beginning to feel a bit discouraged that I’d gotten so few comments today compared to usual. I didn’t know how to interpret that. Maybe just coincidence. Thanks, Laurie! Hugs to you! America has all sorts of problems, racial tensions still being among them. Much of the South is still very segregated, though we always tend to live in diverse neighborhoods where we are. I’ll be looking for you on PBS. Sara and I also live in a diverse neighborhood. Though when we got back from Haiti we felt even ours was not diverse enough. I remember Sara said, “Gosh, there are SO many white people in America.” Great to hear from you, Andra. Thank you for speaking about the race issue in this country and for making us aware of RACE 2012. If it comes on after the presidential debate I’ll see it because we always watch the debates on PBS. In many parts of the country it does come on after the debate. Check your local listenings to be sure. I’ve included in the post a link that will allow you to search for you broadcast time. I’m so happy this post spoke to you. Great to hear from you. Hope you’ll come back again soon! Thank you Kathryn I saw the documentary. Sheesh I had no idea there were so many “whitopias” in the country. I listened to the debate driving home. How can mitt romney flip-flop and lie like that, and get away with it? Gosh, I wish I knew the answers to your questions–even though I know they’re rhetorical. Jeez——I wish I knew! Thanks so much for reading. Glad you got to hear the debates and watch the documentary. Thanks for your comment. Hope you’ll come back again soon! My best friend’s black and I’m whiter than Casper, but we live in New York which is a pretty safe place to be anything. Until recently, NYC cops could stop anyone entering the subway to inspect their bags. Milton is 50 years old and looks like a college professor, but he always gets stopped. It’s uncanny (and I’ve yet to get stopped once). He looks about as suspicious as a cheese sandwich. Once we were in a hurry to get someplace and just as they stopped him, I said in exasperation, “We’re together!” They instantly let him go. The power of being a benign looking middle aged white woman. But yeah, there is a racial problem in this country and I think a lot of it stems from cops not always being the brightest bulbs in the marquee. Milton and I are attending the theater tomorrow night (catching the rave reviewed revival of Edward Albee’s “Who’s Afraid of Virginia Woolf?”) so I’m going to miss both Race 2012 and the debate. I hope to catch Race in a rebroadcast or if they also show it online. If you check the link on my blog, you can search for broadcast times in your area. The premier is set to air right after the debates in most parts of the country, but will be shown again numerous times in the coming week. I think you CAN watch online, as well. Hope you get to watch! Do you think they stop him just to make sure it’s the right cheese. Kathy, Wow! And to think, you were worried about this post, that you’re no expert. Well, you couldn’t have been more wrong. You ARE an expert in what you saw, observed and felt in Haiti. In what you see is going on right here in the US. I love how you draw the comparisons and bring it home. Clearly you had an impact. Just look at all the wonderful feedback you’re getting here. Very impressive, Kathy, and I love the photos, too. Does Sara get credit for the “National Geographic” style photos here? Nice! Thanks so much, Monica! Glad you think this works. True that I’m an expert on my experience–though not on Haiti or racial issues in the US. Actually, I took the photos–all except the one that I’m in. I don’t remember who took that. Think it was one of my friend D. Sara doesn’t usually have time to take them when she’s in he field. It’s really hard for me to listen to or read anything about the election. There’s so much blatant lying. I’ve already voted by absentee ballot. I suspect you’re not alone in that, Sandy. Only a few weeks to go. Sorry to bring up an unpleasant subject. Side note- my husbands cousin runs several thrift shops in the Santa Barbara area all which benefit the school she started in mirebalais in Haiti. The stories of the poverty are incredible. She visits several times a year and they just started their second school year a few weeks ago. She said there has been a huge change in the appearance of the children since they are being fed properly at school! I hope to visit one day and see all the good work she is doing! Gosh, isn’t that the truth, Jamie? I hadn’t heard that particular statement of Romeny’s. But, I think he is out of touch, especially when I tells kids to borrow money from their partent’s to pay for college. The assumption there is offensive. I had no idea that someone from your family was involved with education in Haiti. That is so cool! Hope you DO get to go! Kathy, thank you for giving a voice to so many of us. I have missed the last 8 months of electioneering because of illness, and frankly, I’m glad I did miss it. Hearing now of a US presidential candidate making those sort of remarks makes me nauseated. I will repost to spread the word. Reblogged this on Rockin' the Purple! I did NOT comment “no”! Kathy please make that go away! Truly, I appreciate your repost, my friend. The “no” came from me trying to type something in the WP reblog box. Stoooopid thing wouldn’t take any text, but a little bit managed to show up on my page. sheesh! I’m glad to have reblogged, Kathy. You go, girl. Well, I sure appreciate it, Laurel! You’re a sweetie! Amazing enlighten post Kathy!!! Wow I’m going to share this everywhere! Thanks so much, Nicole. I would LOVE you to share the news! You are a good friend! Hugs to you! Sure, Nicole, I’d love you to repost or copy or whatever. That would be really cool! Thanks for asking! Great post, Kathy! And, so very true. It seems like the world situation is following. I listened to a talk a few weeks ago where the speaker stated that here in Canada (eh?) the middle class use to make up 50% of the population. Now, it’s 29%. The poor is a class that is growing. We’ve become a service based economy where the wages are very low. Consumer debt is at an all time high because people don’t earn enough to pay the high cost of housing etc. Corporations are hoarding profits. The government is slashing services to the poor (because they can, everyone else screams bloody murder, while the poor don’t have a voice) and get this. The average Canadian salary is $44,000 per year while the CEO’s and other high level jobs earn 189 times the average. Yes, the great divide is growing. Fortunately, people are beginning to wake up. The world certainly doesn’t need any more arrogance. It’s time for the average citizen to stand up and speak up. Can you tell we’ve hit a chord? lol! Wow, Marianne, that divide is massive–and criminal, I might add! I hadn’t thought of Canada in those terms, at all! Thanks for educating me about this issue in your country. That’s incredible! No wonder this hit a cord! Fascinating read, Kathy. I am glad you paralleled our election with what you learned in Haiti. I don’t have any answers, either, but am very nervous when contemplating many things politically. As a someone who is definitively socially liberal, but economically conservative (and neither label quite describes it) I sometimes feel confused when stepping up to the voting booth. Wishing always for more equality in our world…being in Haiti or other poor countries must have opened your eyes so wide. I know mine opened even wider in Nicaragua earlier this year. I think I know a bit how you feel, Kathy. I tend to be fiscally conservative, as well, but, perhaps, more liberal socially than I am conservative economically——-if that makes any sense at all! LOL Glad you enjoyed this post! Yep, kinda the same for me, Kathy. The social liberalism sometimes seems to outweigh the fiscal conservatism, just because it breaks your heart to see people going without. Yes, it breaks mine, as well! Well said/written, Kathy. I wanted to stand up and applaud when I finished reading. (The cats were giving me funny looks, as if they knew I might just do that, so I didn’t. lol!) Your parallels between Haiti and this election cycle in the U.S. are uncanny. And frightening. I don’t have any answers. I’ve considered not voting at all because I am sick to death of the rancor and hatred we see in political ads (I’m told those not in swing states are not subjected to this toxic waste of money). I am sickened by the billions of dollars being spent on ads, money that could help feed, clothe, and house so many people. I was listening to something on NPR this morning, a comment someone made about how some of the young people today, those who want to make an impact in positive ways and be socially responsible, no longer view our government or election process as having anything to do with them, and so, they go about their work and don’t bother to vote. I had a moment there when I agreed. I might still agree as I mull it over. Something has to change. This road we’re going down — filled with divisiveness and anger toward The Other (those who don’t agree with the Us, making them Them) — cannot lead to anything good. Stepping down off of my soapbox now. Sheesh. Sorry about that. You go, girl friend. Love you on your soap box. Very good. I’m delighted that this post evoked a strong response from you. That may be the best I could hope for here. I’m fortunate not to live in a swing state, but I can only imagine how bad it must be in a state like Ohio. LOVE this comment from you, Robin. You have made my day, my friend! Can’t wait to see it! I’m excited. Truly wonderful. I see you are leading a truly meaningful life. I love the blue rooftops. Finding colour in such circumstances is always special.